Last year's most popular venue for us was definitely the Accelerator Space, and it's easy to see why... weddings with a unique industrial aesthetic are here to stay and I couldn't be happier about it! ps - I'm also super excited to share this elegant chic Fall wedding with you because this will be my first post where I'm debuting a new format: less descriptive paragraph text, more summary highlights as lists and fun facts... because I get it: NO ONE READS ANYMORE (sad, but true). You're here for the pretty visuals of Caren + Jan's Accelerator Space wedding and I've got 'em! Their wedding was so gorgeous and full of so many heartfelt moments that it was also recently featured up on Marryland Weddings! Looking for Fall wedding inspiration? Look no further than this new Baltimore wedding venue with it's ceremony, patio cocktail hour and reception space all in one place! Caren + Jan were married under an incredibly gorgeous chuppah made up of copper pipe and a draped tallit with asymmetrically placed greenery. I loved that Caren had not one, but TWO pairs of shoes for the day and BOTH were sparkly Kate Spade...!!! 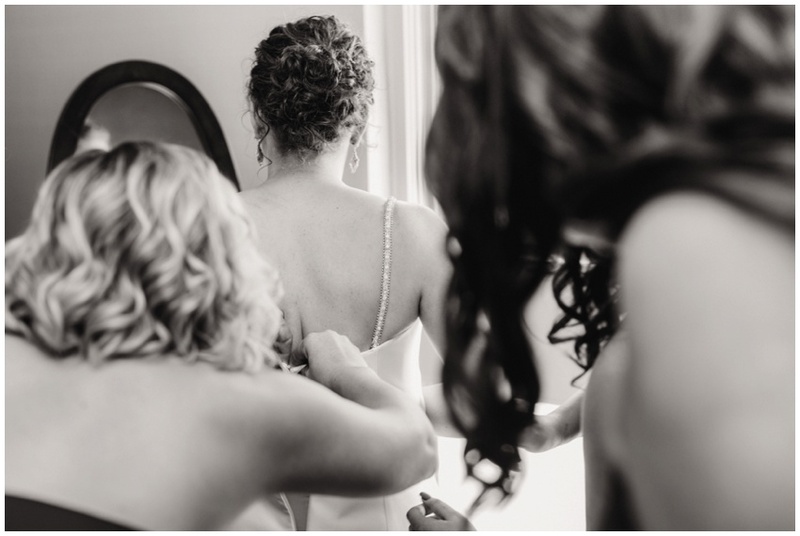 Caren gifted her bridesmaids gray sweater wraps (see them below!) and combined with fun colorful sunglasses, they made the most fun bridal party shots! Personal touches galore: Caren's father's catering company catered the whole event!, the center diamond in her engagement ring was her grandmother's and their friend (and one of the groomsmen!) designed the invitation suite (Write Notepads) - I'm in love with how clean, modern and crisp it was! 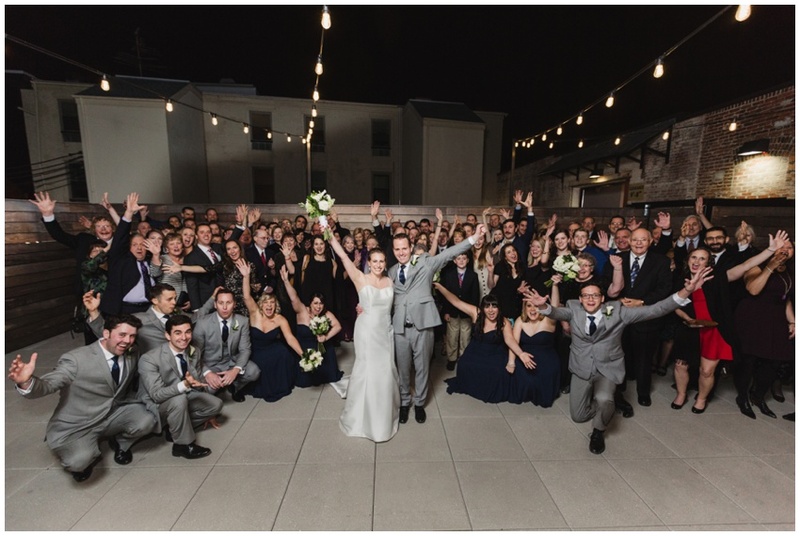 fun fact: the underlying goal of this group shot was to move all of the guests outside onto the patio to allow the cater time and space to flip the ceremony and reception space... we were originally planning to take it in a different spot but ultimately I'm so happy with how it turned out!! :) ...now, huge group shots are totally our thing! Mazel tov to both of you!! Here's to many more simchas, new adventures, good music and lots of laughs together! It was an absolute honor to be a part of your wedding day!